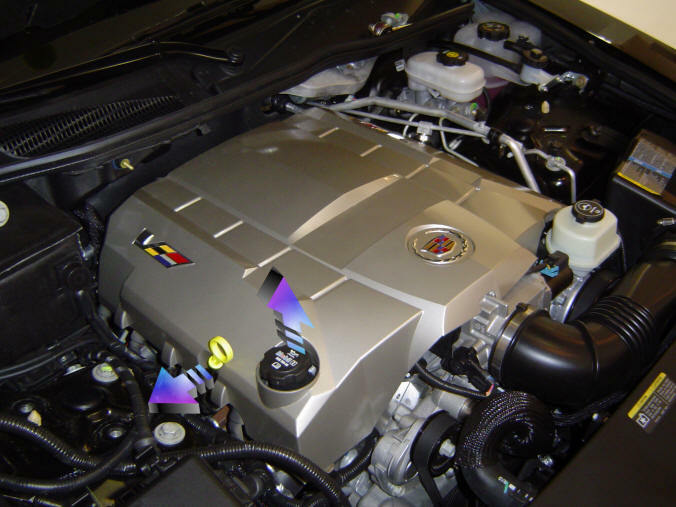 Caution - the LS6 engine and cover can be very hot! 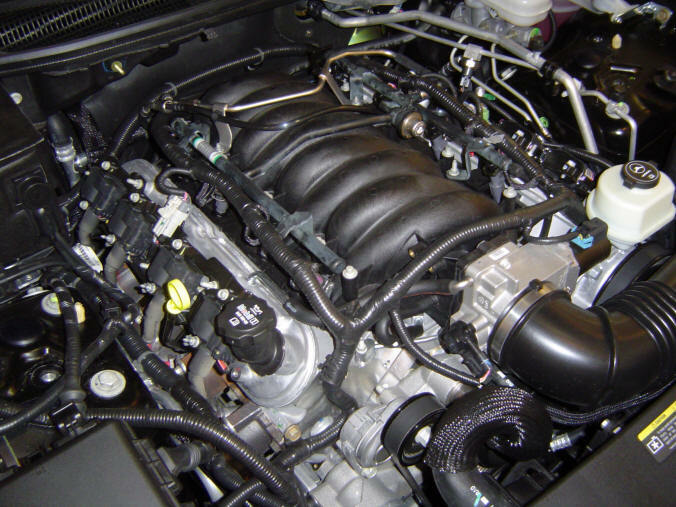 Allow the engine to cool to ambient temperature before performing the cover installation. 1. 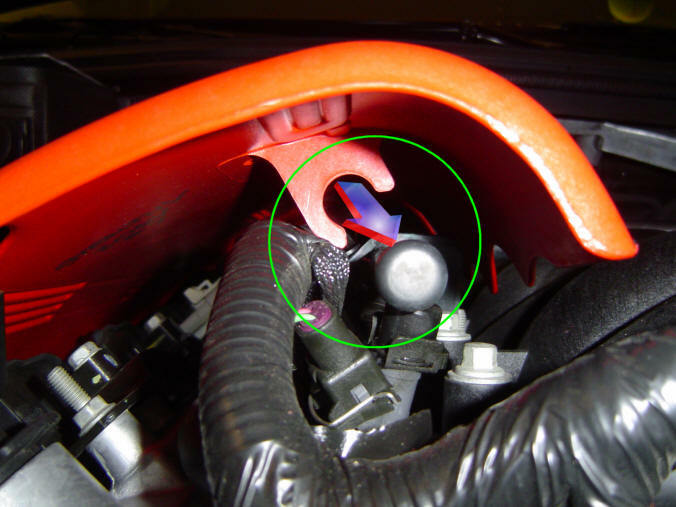 Use a 18-mm socket on an extension with a ratchet to remove the four bolts circled in green that attach the strut tower brace. 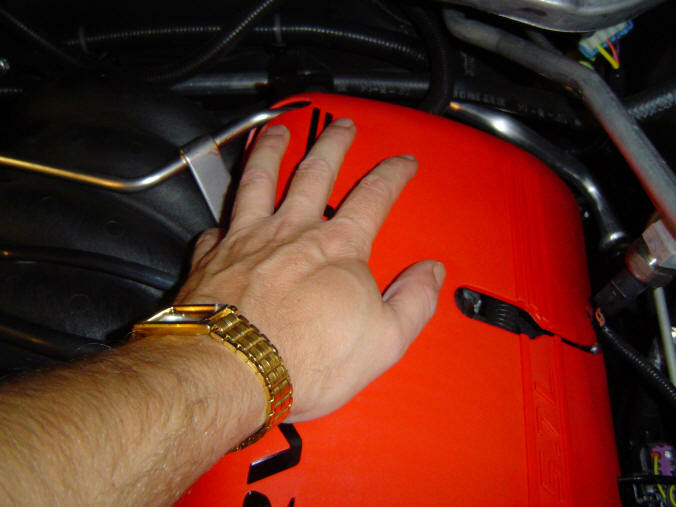 Once the four bolts are removed, lift the strut tower brace off and set it aside. 2. Remove the Mobil1 oil fill cap. 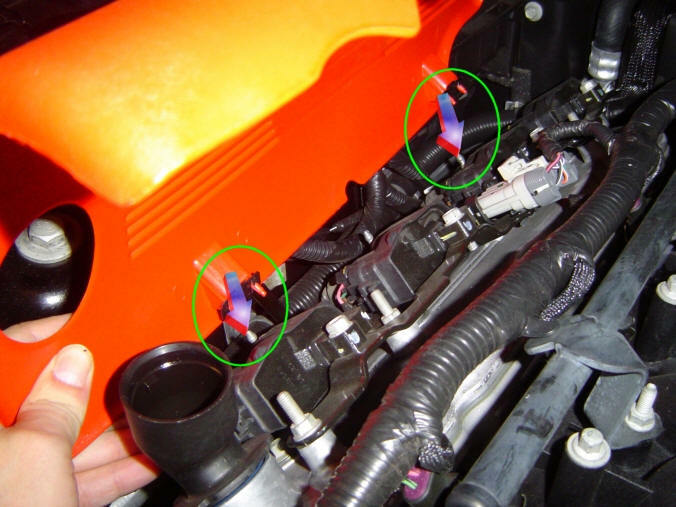 Bend the oil dipstick tube towards the outside of the car approximately 1/2" (12 mm). 3. 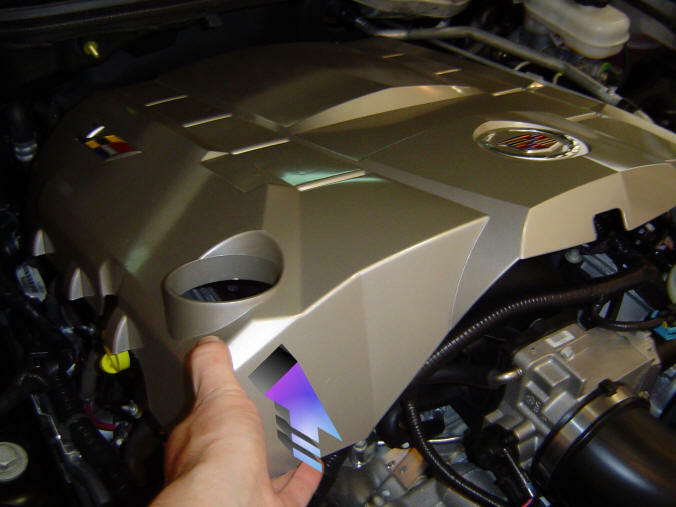 Gently lift up on the front corner of the Cadillac CTS V cover. The cover will easily pop off. 4. Bare engine, ready for some dress up! 5. 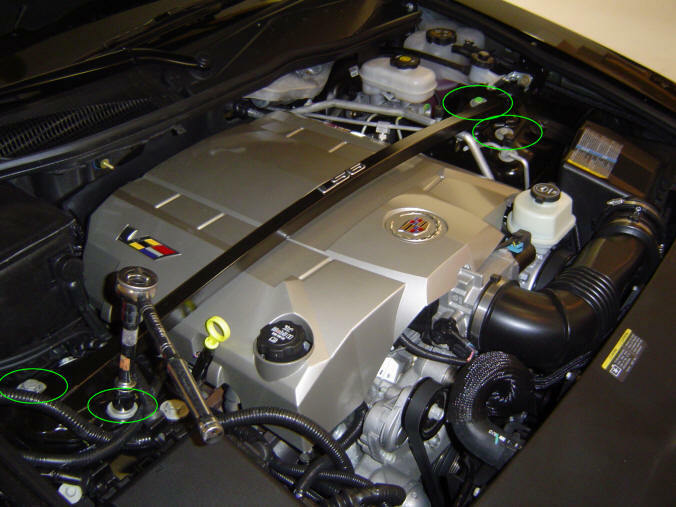 Line up the bottom of the passenger side Z06V cover with the two ignition coil studs and press down to seat the outside of the cover. 6. Press down on the top of the passenger side cover to clip it to the round tubing of the fuel rail. Reinstall the Mobil1 oil fill cap. 7. 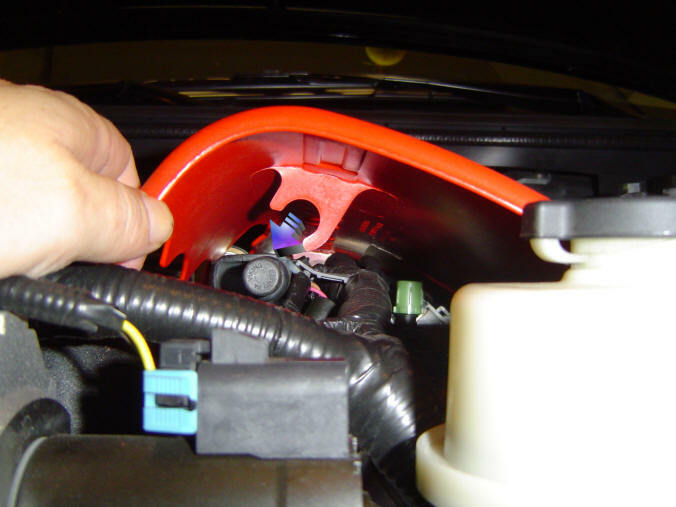 Line up the bottom of the driver side Z06V cover with the three ignition coil studs and press down to seat the outside of the cover. 8. Press down on the top of the driver side cover to clip it to the round tubing of the fuel rail. 9. Place the strut tower brace back across the engine, lining it up over the white plastic locating dowels in the strut towers. By hand, thread in the four strut tower brace bolts removed in Step 1. 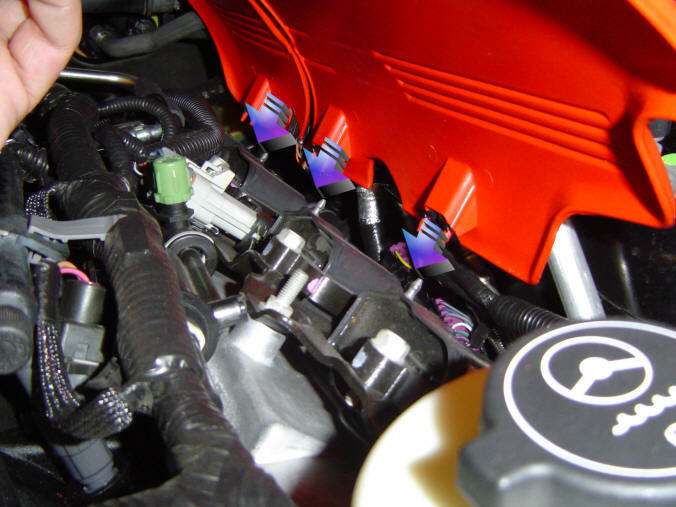 Once hand snug, torque the four bolts with an 18-mm socket to 83 lb-ft (112 Nm). 10. Done! 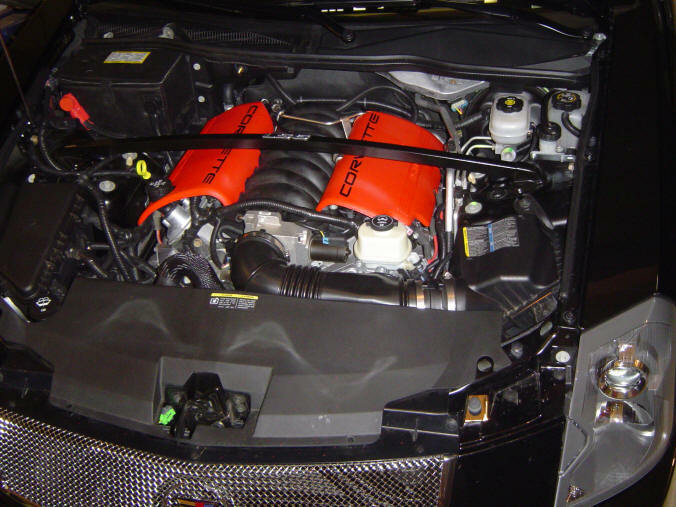 Enjoy your new Z06V Engine Covers!